How fun! Thanks for posting this, I've added them to my feedly. 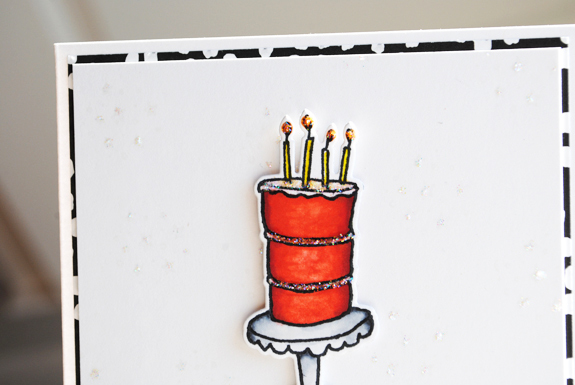 FUN cake card! How sad that they won't ship to Canada..... super cute card! I love this type of image, too. The way that orange cake pops on the white is fantastic! 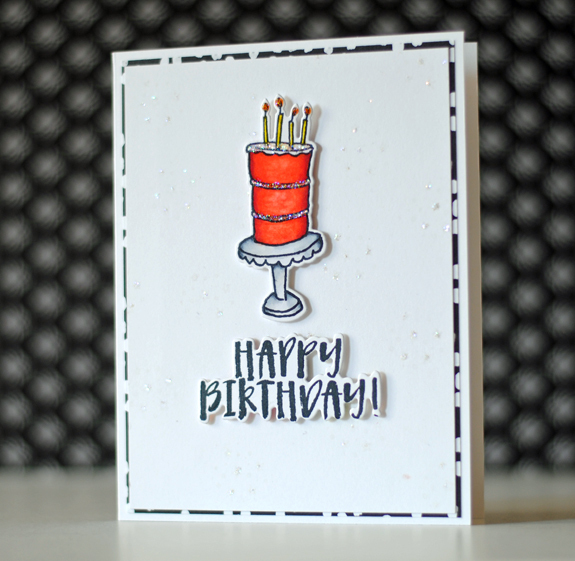 We love this card too! Clean, bright & glittery. Yum! Gorgeous! But, not another new stamp company! I just can't handle one more!! Kidding, I'm off to check them out. Your card is fabulous! Love this set! Love the donut cake in it!